This blog post is dedicated to my son +Zak Wormley . I want him to know how much I appreciate his hard work at being the best that he can be. I also want to give some hints to all of the fathers who are playing with their kids and have them consider playing their best so that their kids can be the best. 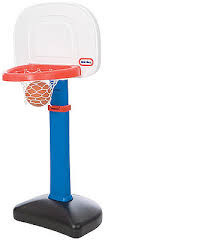 When Zak was about tall enough to where his head was at my waist I purchased a Little Tikes basket ball hoop. I put this out in the cul-de-sac in front of our house in Portland Oregon. He had expressed a desire to learn how to play basketball. I may have had an influence on his choice of sports as I played basketball in high school and occasionally played pick up games when ever I could. Space Jam was his favorite movie and we watched NBA games when ever we could. I made a conscious decision that I would always challenge Zak when we played basketball. One of the things that I did was to play center and stand in front of the basket and block his shot. Sometimes I would do this over and over until he would run in the house mad that I would not let the ball go to the hoop. I would wait outside until he would come back to play and I told him that there would always be some big guy standing in the way to block his shot. What he had to figure out was how to get around the big guy and get the ball in the bucket. Another example of my basketball teaching was rebounding. I always tried to never let Zak get a rebound. Finally when he was really frustrated I told him, you are closer to the ground than I am. I am the big guy and I am slow. Wait until I get the rebound and when I try to dribble then you can be quick and steal the ball. I have many memories of playing basketball with Zak. In recent years when he would visit me in Georgia we would play games to 100. I found that challenging, but I was proud that he had developed into a fine athlete. Recently when I visited him for his high school graduation we played a game. Due to my extreme cycling I had no basketball skills to match playing my son. I did play however and my dream had come true because now I was on the other end of having my shot blocked. I could not get a rebound. Zak even dunked on me. I was proud and embarrassed that I could not play a respectable game. I thought about my experiences with Zak and playing basketball as I was riding my 50 mile loop to work this week. About two years ago I was trying to keep up with a group of cyclist in the Pecan City Pedalers (PCP) I had not been riding for about 5 years and decided to start back cycling on a regular basis. I knew that I was not up to speed to be riding with these cyclist, but I showed up for a few rides anyway because I wanted to measure my abilities against where I wanted to be in a few months. During the spring of 2011 I nick named myself Mr. Drop because I could only keep up with these riders during their warm up pace for about 3 miles. As soon as the pace got to 18 MPH I could not sustain the pace and I would get dropped. I would continue to ride the route by myself but at a much slower pace. This year I am riding a lot more than in 2011. For the last three months I have average over 1,000 miles a month. I have been riding with the PCP group on a regular basis on the Thursday evening ride which is supposed to be a class B ride. By definition by some bike clubs for flat terrain is 15-21 MPH which I fall squarely into this category. Usually there is a mixed group of riders that show up for the ride and the fast riders take off in a group and the slower riders take of in a group. Now when I say slow riders this is a group that keeps me riding as fast as I can to keep pace at 18-22 MPH, but it is good training. Now for the meat of this blog post and the reason for the title and the dedication to my son Zak. This week I wanted to ride on Thursday evening with the PCP. My brain told me that I needed to cut back on my mileage so that I would be strong enough to ride as fast as I could for 20 to 32 miles for the evening ride. I did not listen and kept on riding my 60-80 miles per day this week. When I showed up at the coffee shop on Thursday evening for the ride there were only the really fast riders in the parking lot. I was the only person with a steel bike. I was wondering how I would fare with the ride and if I would have to call myself Mr. Drop again. Anyway we started out at a brisk pace and I was doing my best to focus on riding in a pace line. I had my new Garmin Edge 810 on my bike and it was the first time that I had used it on a PCP ride. When I glanced down at it I was shocked to see that we were already riding at 20 MPH after just riding a few miles. It was then that I started to get worried, could I keep this pace? I decided to stop worrying about the pace and focus on spinning and keeping the my front tire a basketball length behind the bike in front of me. I told myself to shut up and ride. We rode at this pace and a little faster for about 10 miles and then when we got on Leary Road the pace got really fast (at least for me) and I started to drop back at 24 MPH. There was no way I was going to keep up and the wind was blowing into my face so I started to slow down to a pace that I could ride and started to think about being Mr. Drop again. I rode like this for a few minutes and then another cyclist , +Allan Braswell came up on my left to pass me and he said with a chuckle, Let’s catch those suckers. As Alan and another cyclist in tow pulled in front of me I decided that I would put some effort into keeping pace with them. By now the pack was about on quarter of a mile in front of us and I knew there was no way that we were going to catch them, but we were going to try. So the defining moment of always be trainin’ is when your dad is blocking your shot, keep trying, when you are getting smoked on the road while cycling, keep trying. There are always folks around you that will encourage you to do your best, you just have to be aware to listen for their coaching.